The EPW 6560 Projector Wall Module lets you mount your projector on the wall with style. You can easily position your projector and secure it to maintain a stable image while viewing. It comes with the universal EPA 6505 Projector Connector that fits virtually every projector weighing up to 10 kg. Due to the Easy Connect feature, the EPC 6540 is part of the Vogel’s Click & Switch system. Now you can mount your projector on the wall. 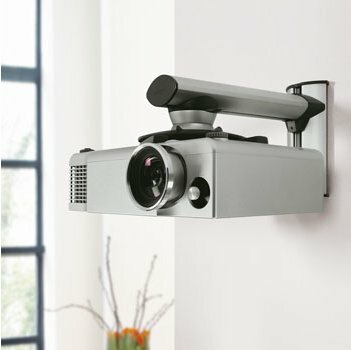 The flexible horizontal arm lets you position your projector in a number of different ways. The arm can be reversed so that you can mount your projector facing either straight up or upside down for the best projection at any height. 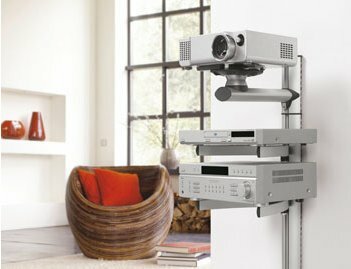 No matter what size projector, with the adjustable arm you can easily position your projector horizontally (near to the wall) and vertically (for the ideal height). 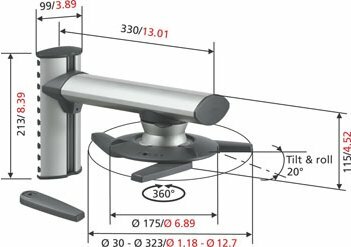 The unique spherical hinge joint has a huge range of movement so you can position your projector wherever you desire. With the Adjust & Secure feature you can lock the projector into position. You can easily hide and guide your cable at any height with the patented AdvanCISTM Cable Inlay System. When not in use, simply remove your projector and the horizontal arm with a single click. The EPW 6560 can be equipped with an additional universal padlock to prevent theft. The EPW 6565 is a complete Wall Solution that comes with the EPA 6505 Projector Connector and the EPW 6560 Wall Module. Does this work in daylight?